>URgh it rained on me & I nearly died! Yup, that was a difficult * ahem * run. 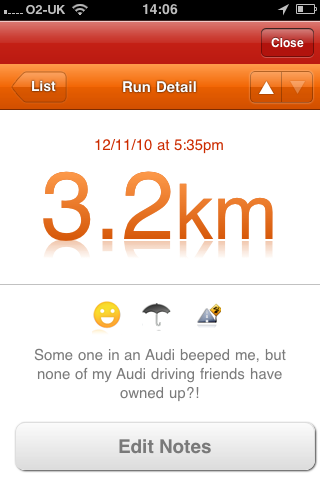 And yes I was beeped by a mystery person in a little 2 seater Audi, yet no one has owned up to the beeping! I like the suggetion that perhaps I pulled whilst out running, I’m a hot (& sweatty) mamma!